The 2015 class of 197 includes some of the world’s most accomplished scholars, scientists, writers, artists, and civic, business, and philanthropic leaders. One of the nation’s most prestigious honorary societies, the American Academy is also a leading center for independent policy research. Members contribute to Academy publications and studies of science and technology policy, the arts and humanities, international affairs and global security, social policy, and education. Hershatter was recognized for her contributions to the field of history. She is best known for her pioneering field research and oral history among Chinese women, and for her major contributions to the history of women, labor, and sexuality. A specialist in Modern Chinese social and cultural history, Hershatter’s most recent book is The Gender of Memory: Rural Women and China’s Collective Past (University of California Press). The book shares the life stories of poor, rural women who have previously been left out of the historical record. Hershatter joined the faculty at UC Santa Cruz in 1991. During her time on campus, she has promoted research in the humanities as co-director of the Center for Cultural Studies, and as the inaugural director of the Institute for Humanities Research. She has published numerous scholarly articles and reviews, and also done consulting work on documentary films about topics ranging from the Cultural Revolution to the events of Tiananmen Square. Hershatter has also been honored with the Joan Kelly Memorial Prize in Women’s History; awarded a prestigious Guggenheim Fellowship; been a Fellow of the Center for Advanced Studies in Behavioral Sciences; and was elected by her peers as president of the Association for Asian Studies. 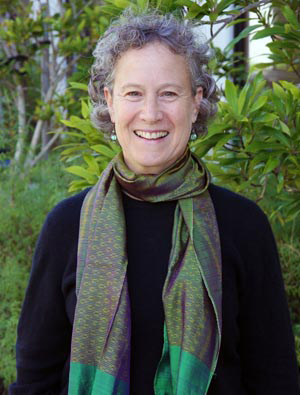 She received the Dizikes Teaching Award from the UC Santa Cruz Humanities Division in 2003.